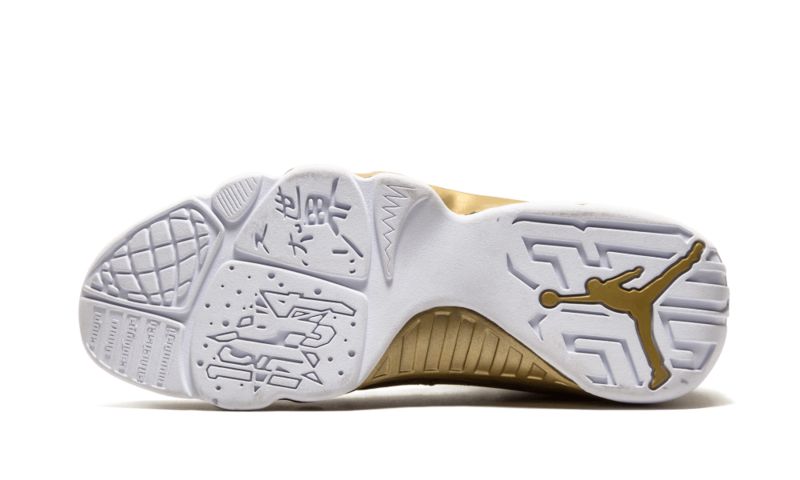 The Air Jordan 9 Premio Bin 23 was released in numbers limited to 1,331 pairs on June 5th, 2010 and retailed for $175. This was and still currently is one of the rarest Air Jordan 9s. Dressed in a luxurious White and Metallic Gold color scheme. 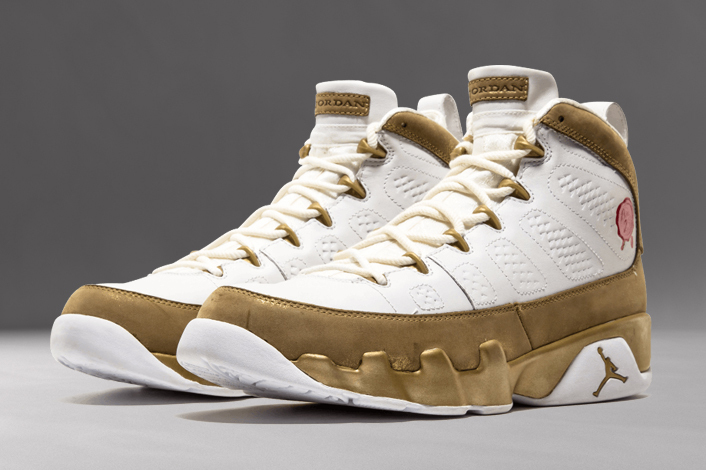 This Air Jordan 9 features a White leather and Gold nubuck upper with Gold detailing found on the lace loops and tongue tags. Finishing off the design is its traditional Red wax “Bin 23” stamp on the collar area. They came housed in a tote bag with wooden shoe trees both branded by Jumpman. Check out the photos below, and let us know if you guys think Jordan Brand should retro their Air Jordan Bin 23 Collection sooner than later?